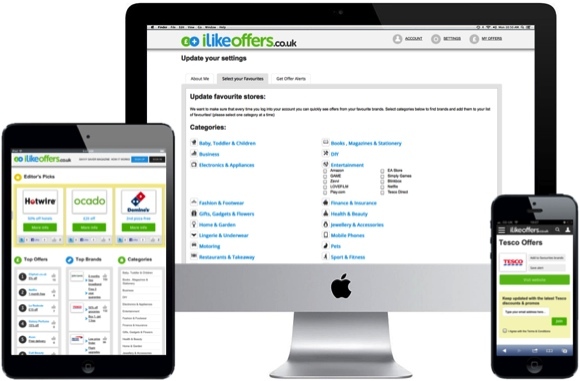 We've built a clever system that personalises the offers you see in your account. You'll get discounts and promotions for your favourite brands, together with offers we recommend based on your interests. If you register with the Facebook button we can also match offers to the things you've liked so it's never been easier to save money online. Set up alerts for your favourite brands in just one click. We'll then let you know as soon as a new offer has been added so you never miss a deal and you can add as many as you want. You're completely in control and it's easy to add and remove brands at any time based on what you're looking to get a saving on. All offers and brands across the site are ranked based on the number of times they've been shared on Facebook, Pinterest and Twitter. This helps you to quickly find the most popular discounts. We've made it as easy as possible for you to share the great offers you find with family and friends so they can also benefit.